1. This polymeric complex gel that holds water molecules in a spider web-like colloidal structure and regulates the delivery of water into our skin base on changing skin conditions, for a prolonged period of 24-48hours. 2. Enhanced with tissue-repairing Vitamin B5 restorative Aloe Vera Gel and skin calming Lavender Essential Oil, it effectively reduces skin discomfort and redness, especially after intensive heat and light treatments (E.g. laser, sun bathing). 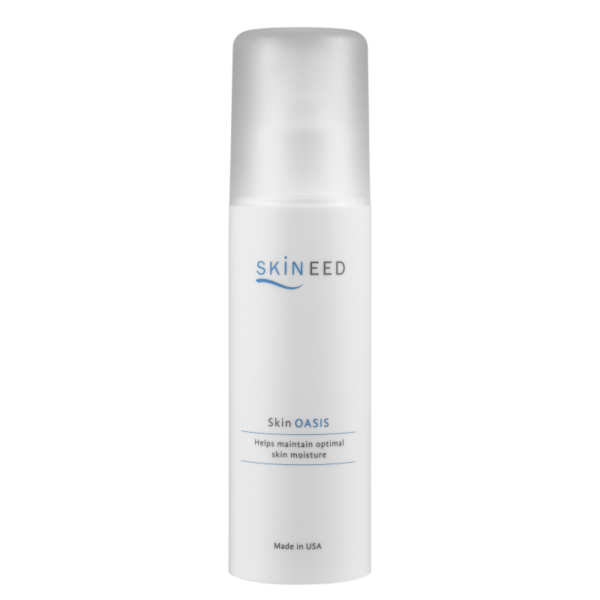 All skin types, especially dry, sensitive and fragile skin. Recommended for pre and post sunburn, chemical peel and laser treatment. Aloe Vera Gel – Calming and healing. Glyceryl Polymethacrylate – Non-drying lubricant. Film-forming agent. Viscosity agent. Vitamin B5 (Panthenol) – Aids tissue repair. Lavender Essential Oil – Restorative and skin calming. Purified Water (Aqua), Aloe Barbadensis Leaf Extract, Glyceryl Polymethacrylate, Panthenol, Lavandula Angustifolia (Lavender) Oil. As a hydrating serum, combine 1-2 pumps of Skin Oasis with 2-3 drops of Skineed concentrates. Apply evenly onto face and neck. 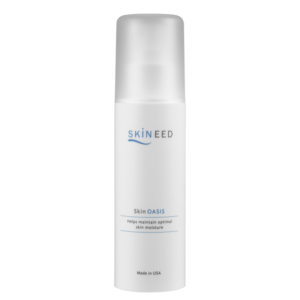 As a restorative mask, mix 20-25 pumps of Skin Oasis with 3-5 pumps of Therapeutic Skin Tonic. 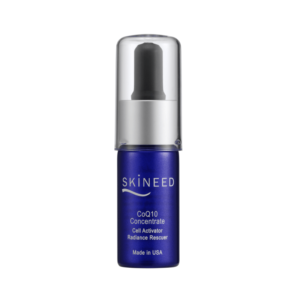 Apply evenly onto face forming a 2-3mm thickness. 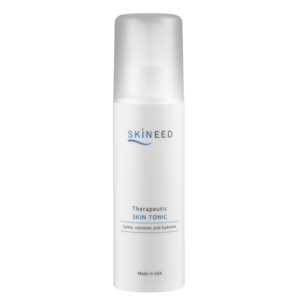 Leave on for 30-40min, spraying Therapeutic Skin Tonic at every 10min interval to keep the mask hydrated. Cleanse and pat dry. • Recommended to use one week before and after intensive treatments (eg. chemical peel, IPL, laser) and after sunburn. • It is common to experience slight tingling sensation on initial use, indicating presence of hidden wounds. Wet cotton pad with Therapeutic Skin Tonic and place on sensitive area for 10-15min.